Ballistol is not a total insulator, however , Ballistol has a very low electrical conductivity. The electrical conductivity of pure Ballistol is 0.005 Micro-Siemens/cm, which is 1/60 the conductivity of uncontaminated water (distilled water: 0.3 Micro-Siemens/cm). 0.005 Micro-Siemens/cm is the equivalent of approx. 900,000 Ohms or 0.9 Mega-Ohm. A total non-conductor would have an Ohmic Resistance of > 100 Mega-Ohm. Ballistol contains Potassium Oleate, which is an ionized substance. Hence Ballistol called a mild electrolyte. Being an oxidator, Ballistol is an effective corrosion inhibitor, its capable of inhibiting acidic and galvanic corrosion. The Scientific reason behind this is Pottasium Oleate ions bind all the oxygen they come in contact with, making it unavailable for corrosion. Ballistol emulsifies with water and its electrical conductivity naturally increases with the amount of water contained in it. The more water is contained in an emulsion with Ballistol, the closer the conductivity of the emulsion will move toward the conductivity of water. In the extreme the Ohmic resistance of emulsified Ballistol may go down to ca. 50,000. Ohms.Ballistol's capability to retain its lubricity in the presence of water hinges on its capability to emulsify with water. With the capabilty of dissolving traces of lead, copper, tombac and zinc. Ballistol can clean and shine brass, silver and bronze. When applied to brass contacts, Ballistol will dissolve and inhibit surface corrosion. Ballistol aerosols contains Butane and Propane as propellants. Scientifically, there is a risk of explosion, but in the real, risk may not be as high as it seems. The upper explosion limit of Butane in air is 8.5 vol.%, its lower explosion limit is 1.5 vol%. Expressed in grams per cubic meter this equals 37g/m3 for the lower and 210g/m3 for the upper explosion limit.For Propane the lower explosion limit is 39g/rn3, the upper explosion limit is 180g/m3. We can say that in order to obtain an explosive mix of either Propane or Butane with air one would have to empty an entire 7.3 oz. Ballistol aerosol can into one cubic meter (27 cubic feet) of air and retain it there without any leakage. Ballistol is also available in non-pressurized containers, which reduces the risk of explosion even further. In most of electrical installation Ballistol is safe but we do not recommend its deployment in energized installations for reasons of general safety. In low voltage, low ohm resistance equipment, Ballistol may cause temporary shorts when applied very richly. Use of Ballistol inside Network Integration Devices and similar installations is strictly not recommended. 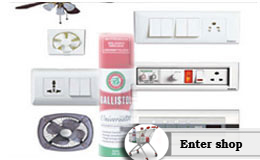 Ballistol is the exceptional one as comparing to other products that lubricate, clean contacts and conduct electricity.